One of the most important things I pack with me on a long adventure is a few good books. Since the tales that travel with me are such a big part I thought I would devote a section while we are away to them. 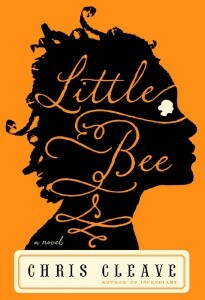 On the first leg of our journey I had the pleasure of picking up Little Bee (aka the other hand) by Chris Cleave. It is a book so beautifully written I had trouble putting it down. Little Bee follows two women as their worlds collide and humanizes the very real and often tragic subject of immigration and those seeking refuge. Cleave hops from the voice of a young Nigerian girl to that of an English mother and is able to capture and give life to both. I won't give away any more and spoil the magic, you'll have to see for yourself how the story unfolds..
Read the first chapter Here and you're sure to want to keep going.